This is a review for Thalgo Stretch Mark Cream, a cream that claims to help the user prevent and manage the appearance and formation of stretch marks on the skin. Also known as striae, stretch marks are caused by the rapid pulling of the skin, which results in micro tears. These tears then manifest themselves as reddish or purple marks on various parts of the body – eventually turning silverish in color. What’s in Thalgo Stretch Mark Cream? Marine Collagen and Marine Elastin – increases the production of fibroblast synthesis. Centella Asiatica plant – promotes nutrition of the skin and boosts collagen production. Tamanu oil – assists with the skin’s regeneration process. Wheatgerm oil – anti-free radical, helps to hydrate the skin. Unfortunately, the quantities of these ingredients are unclear. Which raises some questions about the safety and effectiveness of this product. How Do You Use Thalgo Stretch Mark Cream? The product information available for this stretch mark cream, suggests that the user should apply this topical lotion as an intensive application on a daily basis. Starting after the first three months of pregnancy, until after menstruation has commenced. 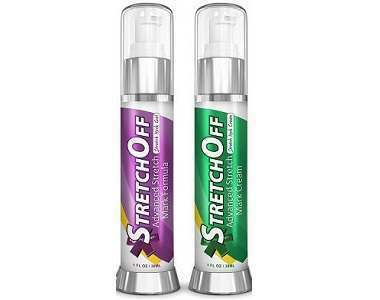 This stretch mark product is available for purchase on the manufacturer’s website and is currently priced at $40 for 5.07 ounces. For orders exceeding $25, free shipping does apply for retail customers. There were no other evident special offers available for this product. The manufacturer does offer a satisfaction guarantee for customers who purchase this product. Although the cream has to be 75% full, returns must be shipped within 45 days from the initial dispatch date and shipping fees are not refunded. It should also be noted that if a product arrives in a damaged condition, the manufacturer does not hold any responsibility, and it falls to the courier company who must be informed about the damage within 24 hours. While researching this product, we were unable to come across past customer reviews and feedback. Stretch marks are very common and most people experience this skin condition at some point in their lives. In this review, we discussed Thalgo Stretch Mark Cream, a product that promised to be effective when used to assist with the appearance of stretch marks. In conclusion, we thought that this cream had the potential to be effective as it did contain some key ingredients, known for their application to skin care and we appreciated the manufacturer’s money back guarantee. However, there were some concerns. There was no indication on how much of each ingredient was present in this product. The returns policy also lacked as it stated that the product, which needs to be used over a long period of time, had to be returned at 75% capacity. This makes it difficult for users to gauge its effects, before sending it back. The product was also a bit more expensive than others currently available. As such, we believe that users could benefit from other scar tissue or skin care creams more than this product.